Vandyke Brown prints | Where is Paperwoman? I had an interesting time reading the answers to this month’s AOM, as Mr. Francis Schanberger marries paper, beautiful, handmade, warm, organic paper, with photography. Photography: some may loosely think of it as an offshoot in the world of fine arts, with its glory days of dramtic black and white footage, whether a dashing Avedon model, or an Arbus character staring back at you inviting your comments, your questions, your curiosity. And now we have our phones, of course. Camera lenses, on our phones or the latest SLR do not seem to be remotely related to the paper world, nor can you use your camera as a tool to imprint your image directly on paper, (or can you)? Nevertheless, the two worlds seem to be on opposite sides of the arts timetable: digital, fast, the science of light and time, with paper, handmade, hands-on techniques, whether using a brush or a press. So, onward to Francis, who gives us a lesson in chemistry + photography + paper, and the methods are intriguing, as one artist’s vision grows with each sheet of the ever trustworthy washi, or Japanese paper. PCI: So, tell us a little bit about your work, Francis, and your inspiration. FS: Describing the kind of work that I do used to be such an easy question. I am trained as a photographer but have pushed back against established ways of showing work. In the photographic world, images were for many years presented in white mats and black frames. Presenting work is more fluid now, but that initial rebellion continues in my avoidance of the inkjet print or the “publish on demand” photo book. Printmakers, painters, and installation artists have influenced me. It is stand alone photographs sometimes complimented with photographic installation. Lately I have been creating ephemeral photograms (camera-less images) using clothing and plant pigments. PCI: That process is fascinating. Watch the VIDEO HERE. What do you like about working with paper? FS: Paper continually reminds me that I am making something. 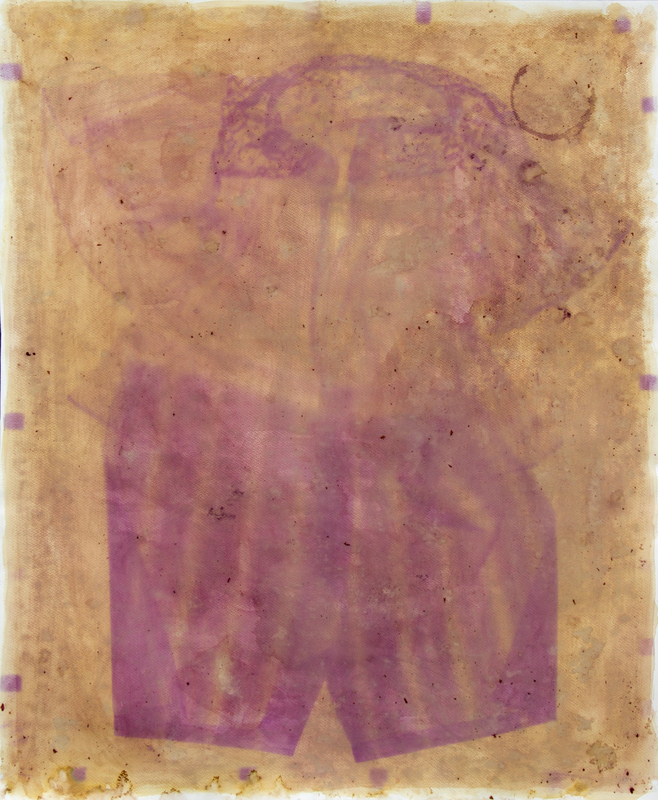 Specifically, the handmade papers create a tension between photographic image and photographic object. By tension I mean to suggest an awareness of the power of photography to exist as a simulation of reality and as a real, stand alone, tactile thing. Paper has mass, volume, memory, texture and sound qualities. Related to vision, it can pass light through itself and block it. PCI: Papers definitely have their own sounds, as well as smells, in a good way, of course. How did you hear about our company? FS: One of my favorite papers, a heavy weight Kozo Unryu, was encountered by chance in preparing for two different assignments in an alternative photography class I was teaching. I had found a paper to use in a demonstration of creating handmade artist’s books. I had extra paper left over and decided to try out chemistry for the students’ next project Vandyke Brown prints. This is a historical photographic process that uses iron and sliver in tandem to print out an image before it is even developed. The combination of paper and chemistry did something I never expected. Instead of immediately soaking in, as I have experienced with unsized papers, it gave me time to brush it on, eventually being absorbed by the outer most layers of the paper. After processing, I noticed that it yielded a very dense brown color somewhat hard to achieve in the Vandyke Brown (kallitype) process. When I first moved to Dayton, Ohio there was a wonderful art supply store on the west side of town called McCallister’s. They went out of business in 2009, shortly after I began working with the Kozo Unryu papers they had stocked. One of these was the paper I had used for the book assignment. I searched online for paper suppliers who might carry the identical paper. After replying to my email queries and after mailing a sample to Rhode Island, Paper Connection International identified the paper I was using and was able to ship it to the Midwest. PCI: Did you have much knowledge about Japanese papers before using our papers? How did Paper Connection help you navigate through the wonderful world of washi? FS: Paper Connection provided my first real education on Japanese papers. I had no idea the paper I had been using was considered a heavy weight and the ability to work with larger quantities of this paper helped me to learn how the Kozo responded to humidity, pH during processing, and how much chemistry I could apply to the paper surface. The paper has a very pronounced texture because of the Unryu (long fibers embedded in the paper). I began to select subject matter that would benefit and not compete with the surface. PCI: What papers do you use of ours and for what process? What did you like about those papers that aided in your creative and/or technical process? Describe some of the differences between our papers and others you have worked with? FS: Currently I use Japanese papers for historical photographic printing done in Vandyke Brown and Platinum / Palladium. I have used three different papers from Paper Connection. The Kozo Unryu HW in both a brushed and unbrushed surface and a Kozo paper with no Unryu texture and hardly any sizing. I do prefer the sized paper because they allow me to brush on the emulsion over a hard table surface. However, last May I was asked to try out a brand new paper made in Ino, Japan that was a combination of Kozo and Gampi with no internal sizing. The paper is extremely thin weighing in at 30 g/sm. 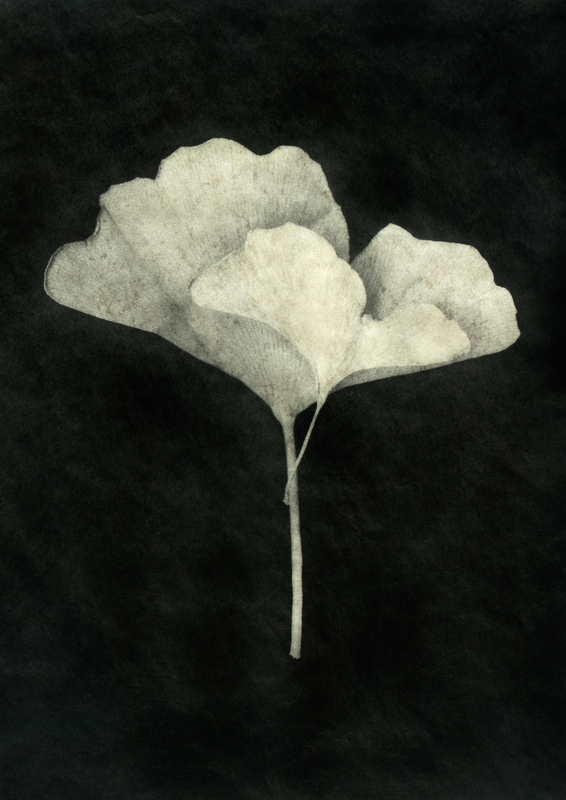 I had to learn to apply the light sensitive emulsion with the paper placed over a piece of felted wool. I am warming up to the new paper but the photochemistry it was designed for is pricey which limits my ability to print with it. PCI: What paper of ours would you recommend for the various methods you employ in your work? FS: I like the Kozo Unryu Heavy Weight paper for Vandyke Brown printing because it works really well with my style of brushing on light-sensitive emulsion and it has a terrific wet strength. PCI: And, of course, which artist would you like to have a nice sit down and chat with? And does paper fit in somehow? FS: If I could have a conversation with any artist present or past it would be pictorialist photographer Jane Reece. I would talk about paper because she was known in her time as an expert in printing photographs on Japanese tissue. Because of my involvement with the use of the paper from Ino (Kochi) Japan, I have become aware of the paper makers’ interest in early twentieth century photographers and their use of Japanese tissue. The paper makers of Ino are interested in whether the paper they have made bears any resemblance to the Japanese tissue of the early 1900’s. The only examples exist in museums in the United States. PCI: Thank you so much, Francis. This has been enlightening, and your work exudes the warmth and texture paper provides, with the imagery that light creates with your vision. Chemistry + photography + paper = beautiful.